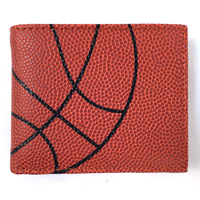 Tell a special basketball fan how much you love them with a gift that expresses their passion for the game. 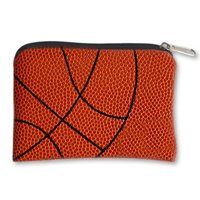 Each petal of the Basketball Rose™ is carefully handmade from basketball material to form an unforgettable bloom that will amaze the basketball athlete, coach, or team mom in your life. 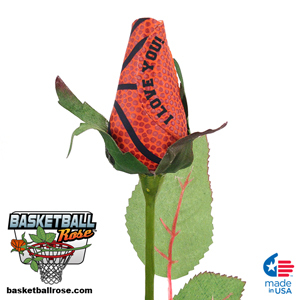 The Basketball Rose requires no watering and will never wilt or die. The artificial stem measures 24" in length and has a "life-like" quality that is hard to distinguish from live stems when arranged in a mixed bouquet with live roses. 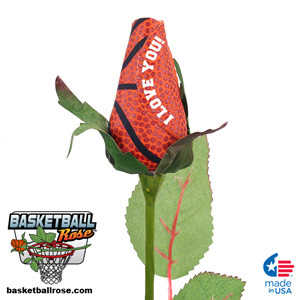 Basketball Roses look their best when displayed in a vase arrangement at home, dorm room, or in the office. 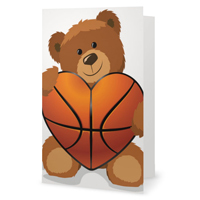 Cellophane Gift Arrangement: Basketball Rose individually wrapped in cellophane and accented with silk baby's breath and a 7/8" wide white basketball -print grosgrain bow. 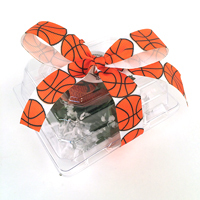 Clear Case Gift Arrangement: Basketball Rose individually packaged inside a clear plastic case and accented with silk baby's breath and a 7/8" wide white basketball -print grosgrain bow. Buy in Bulk and $AVE! :View the quantity discount chart below. 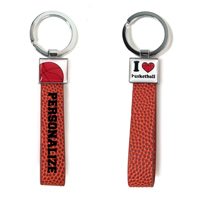 Mix & Matching with other Personalized Sports Roses styles is allowed. 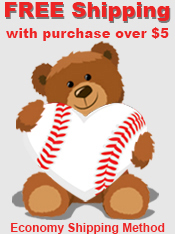 Discounts are automatically applied online and based on regular retail price of standard display option ($24.95). Additional charges apply to premium display options. 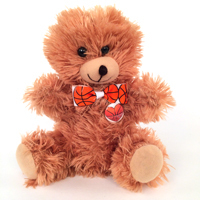 *ALL SALES ARE FINAL on Personalized Basketball Roses. View our return policy here.